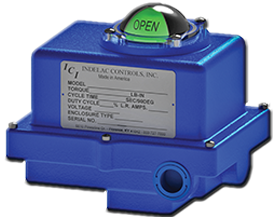 Duty Cycle: What Actuator Buyers Need to Know Now | Indelac Controls, Inc.
A good analogy for initially understanding duty cycle can start with the idea of riding a bicycle. You peddle (period of energy exertion) and then coast (continue moving from your own forward force, without the addition of any power). As you slow down (due to wind resistance, road friction, or road terrain) you peddle to speed up and then coast again. The 'duty cycle' is the ratio of peddling time to the total time (peddle + coast time). A 100% duty cycle means you are capable of peddling all the time for the entire duration of the bike ride without getting tired. A 50% duty cycle means you are only capable of peddling for half the total bike ride because your endurance does not allow any more than that. Duty cycle in the valve automation world is the ratio of actuation on time to off time and is used to determine the proper actuator for a specific application. Understanding duty cycle is necessary in order to determine an acceptable operating time so that the thermal over load in the motor is not exceeded during valve or damper automation. Actuator inefficiencies cause the motor temperature to rise. At a critical temperature the thermal overload protection is activated and the actuator is shut down. The actuator is inoperative (undesirable in most applications) for a period of time allowing the motor to cool and the thermal overload to reset.